I am a loyal hammock camper. I affirm that hammock is the most convenient and versatile shelter when it comes to backpacking. Sadly, there are still more out there who don’t think so. One of the reasons that discourage backpackers from using a hammock is the chilly air at night. I wish they knew what they’re missing. It indeed is not difficult. With the right accessories, you can enjoy all the fun. That’s why I mean to introduce the best hammock Under Quilt for a safe and warm nap. It’s about bringing the right choice of comfort. It’s time to discover how awesome a hammock is! What is a Hammock under quilt? What are the advantages of a hammock under quilt? If I get the chance to camp, I jump right into it, no questions asked. Having this four-season polyester-filled under quilt can make it happen. It kept me warm even during winter chills. The quilt is simple to attach to the hammock. I can do it fast enough to keep me from exposure to cold. I own a SingleNest hammock and this under quilt fits so comfy and secure. Don’t worry, I’ve got some friends who use this with their Double, and they’re happy with it. But well, this high-quality under quilt is sufficient in repelling the wind off to keep the heat. It’s being effective made the price so reasonable too. And if you’re like me who likes to travel light, I know you’ll pick this one. It’s very compact and has a compression stuff sack for storage that makes it more convenient. However, this under quilt is just water resistant. If you are looking for a waterproof type, then this fact could be a downside for you. It’s big enough to cover a six-footer. It’s bulky in the bag. You’ve spent a long time choosing that you end up with nothing at all? If so, I could help you with the right product. An under quilt that is all within your limits that are neither costly nor complex. 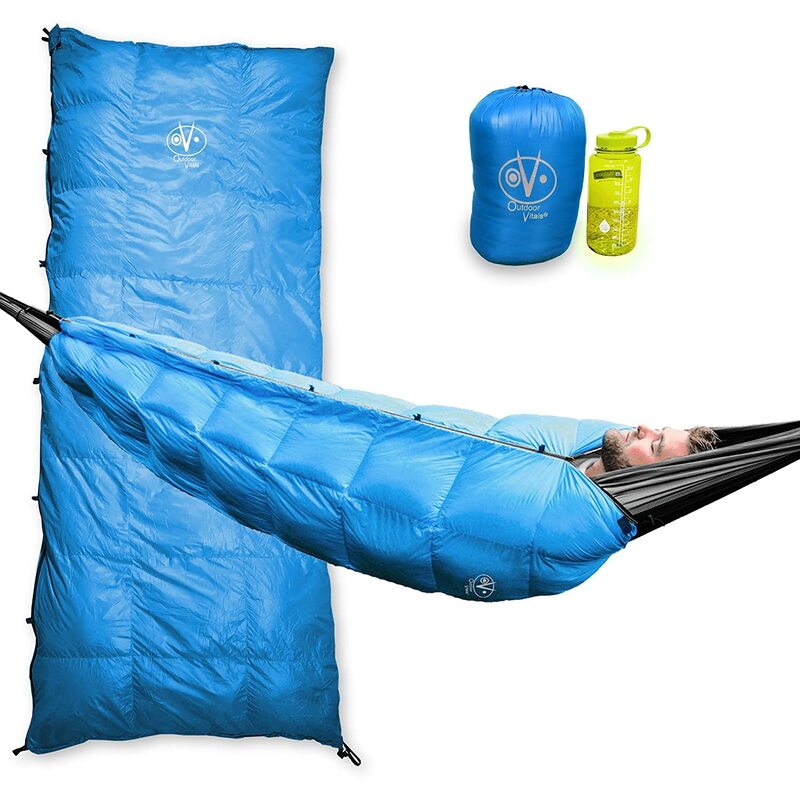 Outdoor Vitals is so versatile that you can use it as an under quilt or even for a double sleeping bag. What could be so convenient for campers like us? I only use this as an under quilt. It’s for the reason that it is efficient in keeping me warm. I don’t need a sleeping bag anymore. Even bringing it is never a bother at all. It’s ultralight and compactable that it saves space in my backpack at the same time. Yes, it compresses as much to 8x8x8 inches. At least, it gives me more space for other important stuff. I wouldn’t be hard to decide to buy this item. It has the three ultras. Ultralight, ultra-tough and of course, ultra-warm. Either I use it with single or double hammock, it fits just well. It is soft, and the stitching is subtle. The double zipper helps open the foot part for extra locomotion. The belly of the quilt can be used to place stuff. No loose threads or uneven seams. Colors to choose from are cute and charming. When shopping, I made it a point that I stick to my budget. If I buy products like under quilt, I’ve got to be keen on choosing. I must bring home an item that’s within my means and suits my need at the same time. It wasn’t hard to decide at all when I found this Snugpak hammock quilt. I am recommending this item since I am satisfied with its performance. The Paratex antibacterial treatment first raised my interest. Being stored in a compression stuff sack was the next. It’s best to assess the quilt after I used it on one of my trips. The filling provided great insulation and relaxation by catching and replicating heat. Happily, it covered my whole body down to my feet. And as a plus, the insulated flaps are so easy to tuck down at each side. It sure was a cozy night out in the woods. Not bad for an under quilt for a limited budget! Covers the whole body even for big men. Nicely water resistant, breathable and comfortable. It’s relatively camouflaged but does reflect light slightly on the ripstop side. Very sturdy and washes well in an upright washer and dryer. It has a good design. The instruction manual is not practical for all situations. The foot box is too shallow. Now I have come to the product that is level up among the rest, with a high cost at that. Nonetheless, this is great and worth a purchase. So, if you have a little bit of extra savings, this under quilt is the best. With its cost, I may say it is worth every penny. Curious as to why? Talking about versatility, it does not only have two functions but five! Being used as an under quilt, sleeping bag, hammock pad system, blanket and even double sleeping bag, this quilt is a winner. What’s more, it’s newly updated down insulation is certified 800+ fill power and it’s 100% moisture resistant and is synthetic. With all the gears and other stuff I carry on my back, it is a relief to know that this under quilt is so light. For an accessory that I trust to save me from cold, it’s never a hassle. In fact, it has a grid baffle design as an additional feature that locks down into place for zero cold spots. It also has this unique VitalDry DWR coating repels water off to keep me dry. And if I need a double sleeping bag, I can just zip a pair together to cover! See, it could be expensive, but I thought buying it once will be worthwhile. The product itself offers a limited lifetime warranty to back me up, so why worry? It’s nice that it can be zipped all the way down to become a square blanket. The zipper gets caught a lot. 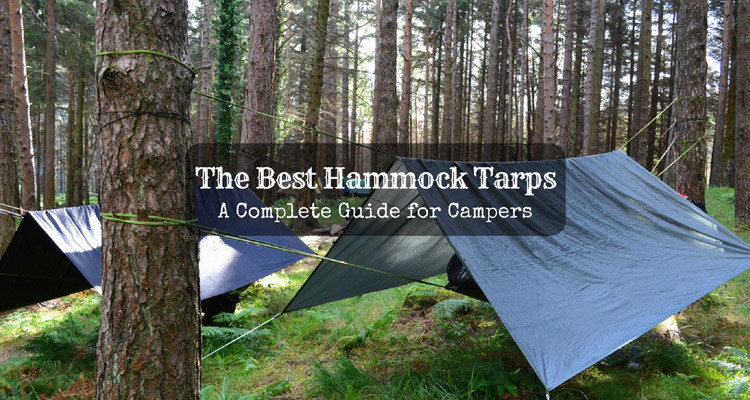 I’ve presented the top 5 hammocks under quilts that are leading in the market nowadays. But does everyone knows what an under quilt is? For better knowledge, under quilt is designed for hammock use. Wrap the quilt around the exterior part of the hammock. It repels cold wind. By doing so, heat retains to warm you up inside. In fact, human body’s capability to retain internal temperature diminishes when asleep. Metabolism hibernates, making the calories stored and are not burnt. That’s the reason why we need a special quilt to save us from hypothermia. 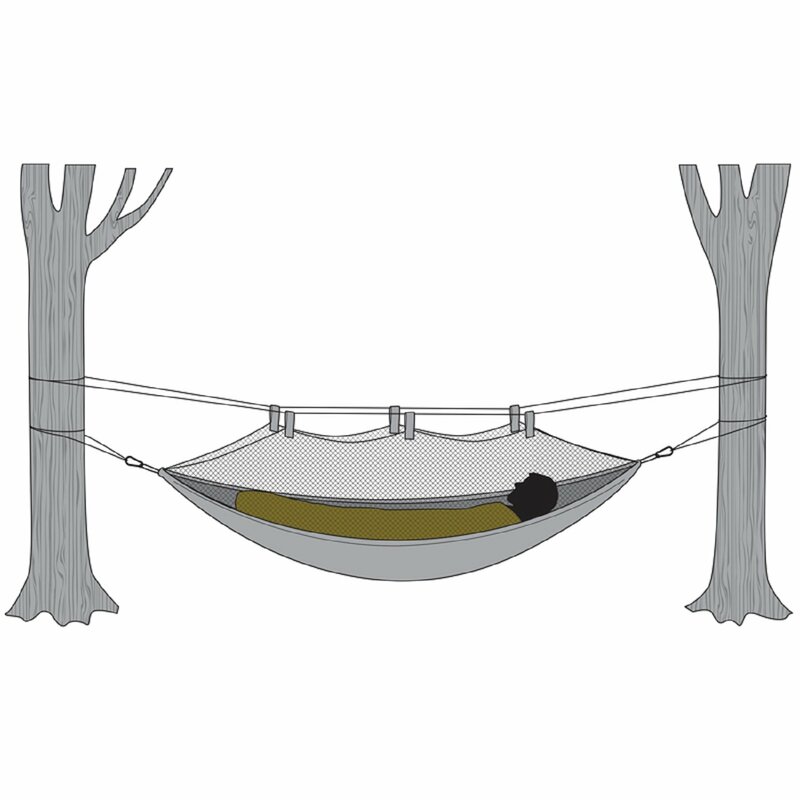 The underquilt holds the warmth the body produces and prevents it from leaving the hammock. When purchasing, there are many aspects that I always remember to avoid disappointments. This procedure is a buying routine for me. Once you understand each one, bearing them in mind when procuring will become a habit. It depends on what kind of filling you like. There are two main choices; synthetic or down. Down is equivalent to warmth to weight ratio. Since I want a lovely and excellent compressed quilt, down suits me just fine. Nonetheless, it does not guarantee adequate insulation when wet. 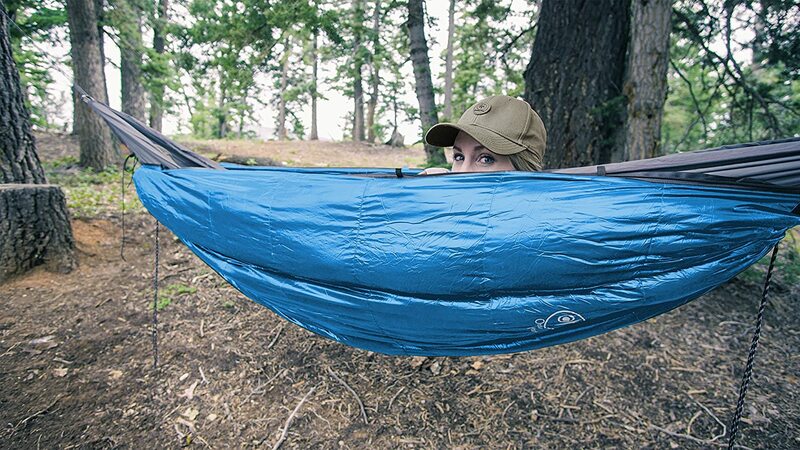 But then again, it’s not a big deal to me since I can use a reliable hammock tarp for extra protection. A stuff sack for gears comes in handy too. Alternatively, synthetic material is polyester fibers made to imitate down’s capability to trap heat and air. Unlike the down insulation, synthetics are bulky and a bit heavy. However, it can hold heat to keep me warm even wet. I pick the fabric according to what I need. But I call it practical to use a thin under quilt most of the time. It’s typically attached just under my hammock, so it doesn’t deteriorate fast. I am not into rough trips so the lighter material would last reasonably. If a situation calls for a much sturdier fabric, then I will choose to bring the tough type. Aside from that, features like waterproof or windproof can be significant as well as the right color you like. Bottom-line, whatever factor is there, pick the fabric that is suitable for the type of camping you plan to do. The kind of under quilt you need would be dependent on the temperature of the day. If it is summer days, you bring the lightest variety so you won’t end up dripping from your sweat. If it’s chilly days, then it’s time to use the under-quilt that’s meant to warm you up real good. It’s easy to decide what length you need to take. Me, I prefer the full length since I don’t like my feet to be cold. The torso length, on the other hand, is convenient if you are the type who’s more open to exploring nature. The price goes along with the kind of material and the features your under quilt has. If you dream of buying a high quality of a favorite brand, expect that its value would be a bit higher. Synthetic under quilts is ordinarily low in price. When you have decided everything, don’t forget to consider the size of your hammock. The under quilt size and the hammock size must match. Otherwise, it’s either it will serve the purpose or not at all. The heat that the under quilt can hold is very reliant on the efficiency of the suspension system you got. 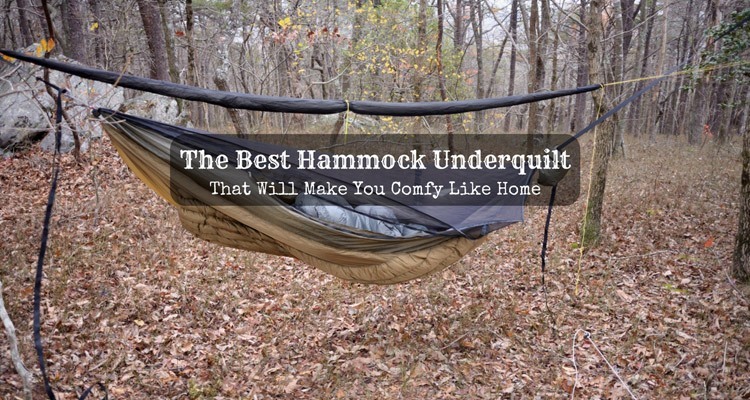 Especially during cold weather, it is vital that the quilt fits securely against your hammock. If possible, don’t allow any air gaps. This factor wouldn’t matter at all if you are going car camping. 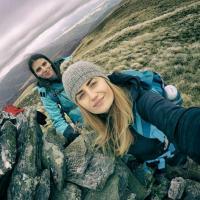 However, for us, backpackers who love to do some hikes, carrying a heavy weight will drag us down. Terrains could be cruel now and then. 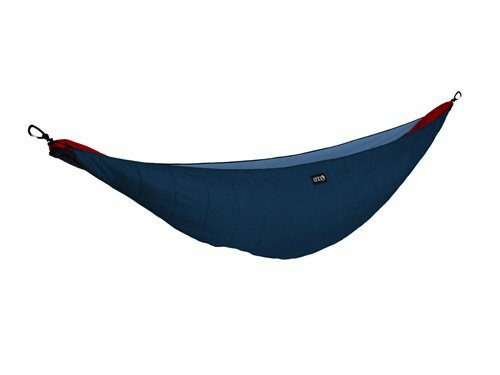 So, for backpacking light, pick the best hammock under quilt that is light and compact. 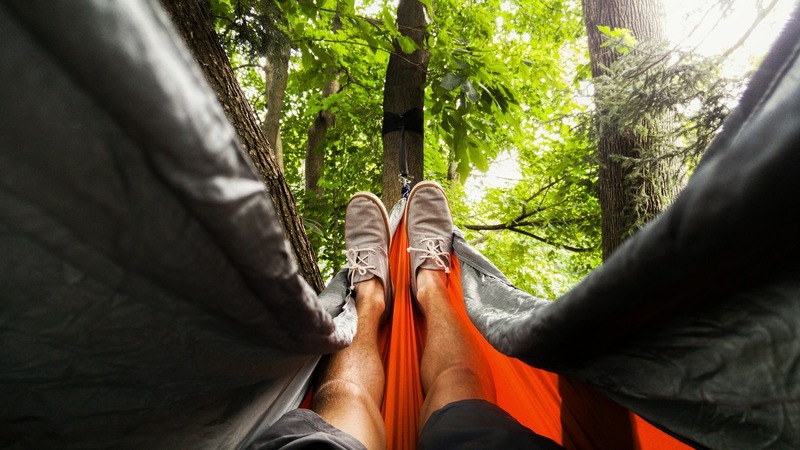 Knowing the benefits of owning a hammock under quilt will justify the need for you to buy. Here are some vital points to make you realize its significance. Works better than a sleeping bag because the stay uncompressed all the time. It keeps you warm without the hassles of entangling yourself in them. It won’t get in the way with you inside the hammock. You wrapped it around; then you can smoothly go down and back as you please. Because of the warmth and comfort it gives you; your sleep couldn’t be much better. Go light! A hammock quilt is lighter to bring compared to sleeping bags and ground pads. Simple Installation- once the hammock is ready, it is easy to wrap the quilt with the use of hooks. 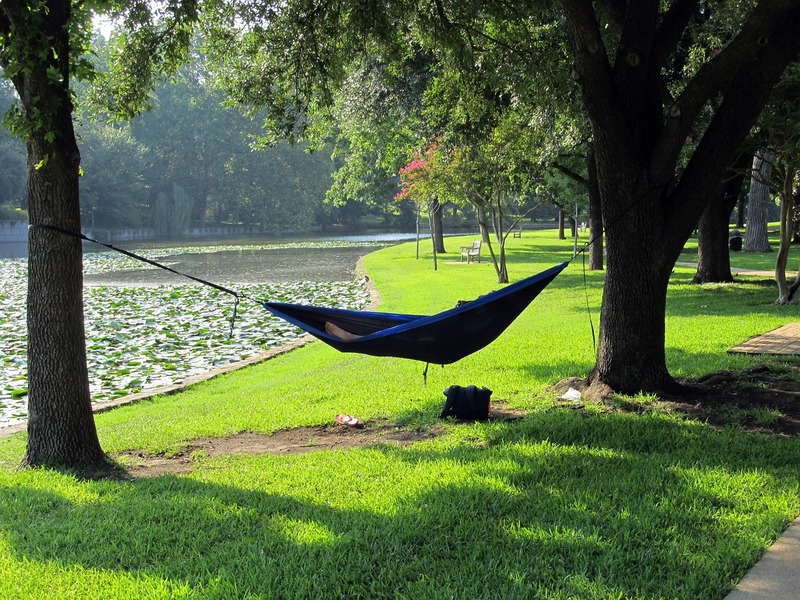 Versatile- if a hammock boasts of versatility, so does the hammock under quilt that comes with it. When picking for the under quilt that you like, make sure that you are buying what you need. Remember that the price is dependent on the quality of the product. Don’t waste your money on an item that you can’t maximize the use. Worse case, you will end up buying one that you can’t even use just because you cut out on price. For a favorable decision, keep in mind the factors that I have stated to guide you. I have mentioned the best hammock under quilt list above. The top five is all winner on its right. They were carefully selected based on the high ratings and positive feedbacks from reviews online. If you appreciated the benefits a hammock quilt can give you, then this article could be used as a buying guide for you. 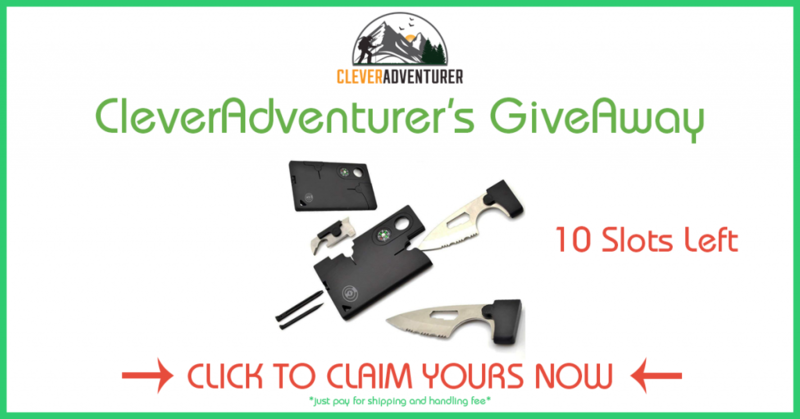 Once you have one, let’s go out for a camping trip, and have fun! 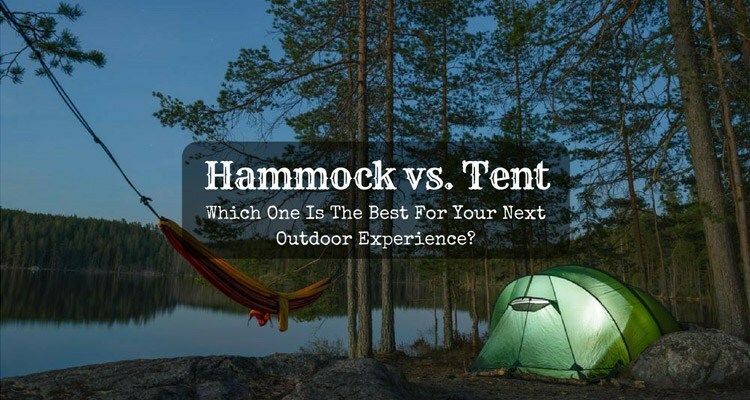 Hammock vs. Tent: Which One Is The Best For Your Next Outdoor Experience? 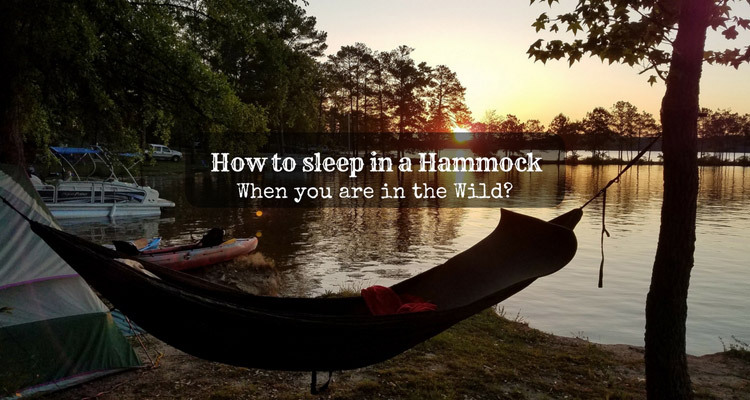 How to sleep in a Hammock When you are in the Wild?